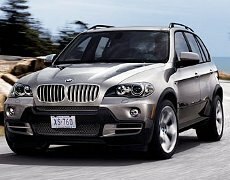 BMW is recalling 2009 X5 models equipped with a diesel engine. The company said the fuel filter heater could remain on indefinitely, possibly draining the battery. The unit could also overheat, possibly causing a fire. BMW will notify owners and dealers will replace the heater free of charge. Owners may contact BMW at 1-800-525-7417. Petzl America Inc. is recalling about 18,000 GRIGRI 2 belay devices with assisted braking. Excessive force on the handle can cause it to become stuck in the open position. When stuck open, the assisted braking function is disabled, posing a fall hazard to consumers. Sports and recreation stores in the U.S. and Canada sold the devices from February 2011 to June 2011 for about $95. They were made in France. Pacific Cycle is recalling about 5,500 Playsafe Dartmouth Swing Sets sold at Toys R Us. The sling-style swing seats can crack or split prematurely, posing a fall hazard to consumers. Toys R Us stores sold the swing sets nationwide from January 2011 through May 2011 for about $270. They were made in China. 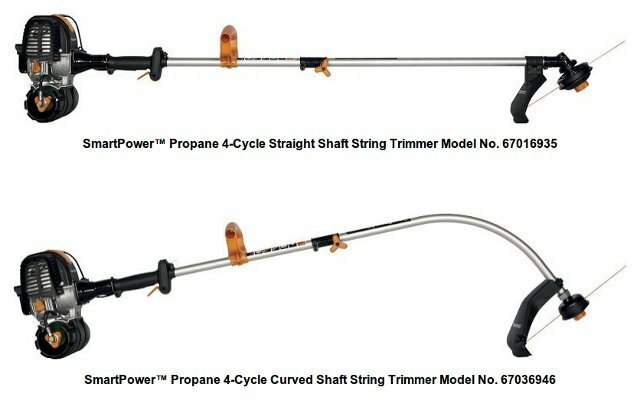 Fiskars is recalling about 2,200 SmartPower String Trimmers. The trimmers were sold by the Exchange stores, also known as the Army and Air Force Exchange Service or AAFES, and online at Amazon.com, Walmart.com, Powerequipmentdirect.com and SureSource.com, from January 2011 to July 2011 for between $220 and $280. They were made in China. Consumers should immediately stop using the recalled trimmers and contact Fiskars® to receive a full refund. 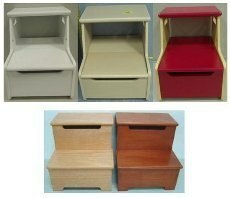 Target is expanding an earlier recall of wooden step stools with storage compartments. The stools can break apart and collapse. About 206,000 of the stools were recalled earlier this month. Target is now adding another 341,000 to the recall. The stools were sold at Target stores nationwide and online at Target.com from January 2007 through October 2010 for between $25 and $30. They were made in China, Vietnam, Taiwan and Thailand. 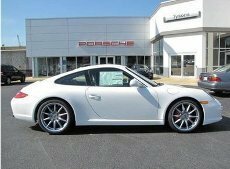 Porsche is recalling certain 2011 and 2012 models because of a problem with the seat belts. The company said the belts may not be routed properly, which could increase the possibility of injury in a crash. Office Depot is recalling about 35,000 Realspace PRO 3000 Series Desk Chairs. 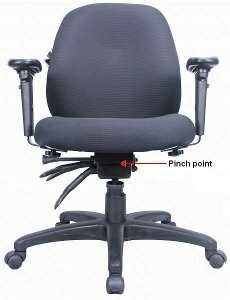 A consumer's finger can get caught in an opening in the chair's tilt mechanism, posing a pinch hazard to consumers. The chairs were sold by Office Depot retail stores nationwide and online at www.OfficeDepot.com from May 2009 through June 2011 for about $170. They were made in China. Macy's is recalling nearly 1 million Martha Stewart Collection Enamel Cast Iron Casseroles. The cookware was sold at Macy's stores and AAFES, MCX and NEX locations nationwide, and on macys.com between June 2007 and June 2011 for between about $25 and $170. It was made in China. 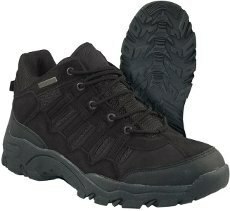 C. O. Lynch Enterprises, Inc., is recalling about 5,200 Itasca Fusion hiker boots. Big 5 Sporting Goods Stores sold the boots between March 2011 and June 2011 for about $50. They were made in China. phil&tds USA Inc. is recalling about 54,000 "metoo" clip-on chairs. 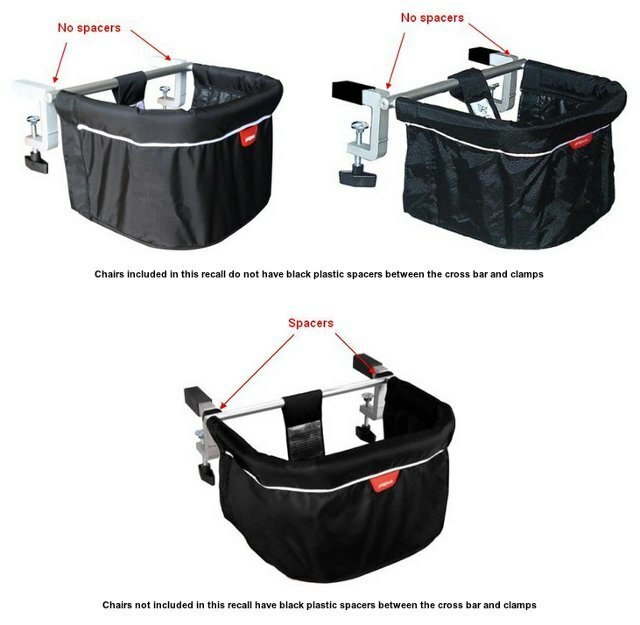 Missing or worn clamp pads allow the chairs to detach from a variety of different table surfaces, posing a fall hazard. 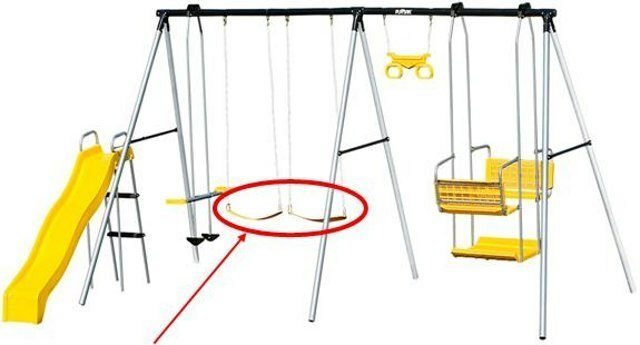 In addition, when the chair detaches, children's fingers can be caught between the bar and clamping mechanism, posing an amputation hazard. Also, user instructions for the chairs are inadequate, increasing the likelihood of consumer misuse. phil&teds and safety regulators have received 19 reports of the chairs falling from different table surfaces, including five reports with injuries. Two reports of injuries involved children's fingers being severely pinched, lacerated, crushed or amputated. The three other reports of injury involved bruising after a chair detached suddenly and a child struck the table or floor. The chairs were sold by Buy Buy Baby, Target, Toys R Us and their online sites; philandteds.com; Amazon.com; other online retailers; and a variety of independent juvenile specialty stores from May 2006 to May 2011 for between $40 and $50. They were made in China. 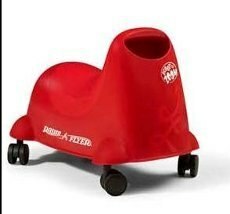 Radio Flyer is recalling about 165,000 Scoot 'n Zoom children's riding toys. The riding toy can tip over allowing a child to fall forward while riding, posing a fall hazard to young children. The toy was sold by Walmart and other retailers, and online at Amazon.com and Target.com from August 2010 through August 2011 for about $20. They were made in the United States. Umarex USA is recalling about 9,500 Browning 800 Mag air pistols. Under a variety of circumstances, the safety will not prevent the gun from firing. This poses a risk of serious injury to the user or bystanders. Sporting goods stores and gun shops sold the pistols nationwide from July 2006 through February 2008 for about $180. They were made in Turkey. EQ3 Ltd. is recalling Scarpa Wood and Glass Round Dining Tables because the wooden table base can split and/or collapse, causing the glass table top to fall. This poses collapse and impact hazards to consumers. 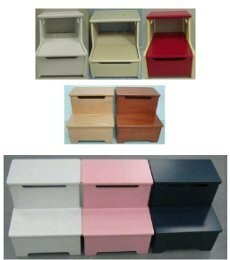 EQ3 Stores and furniture stores sold the tables nationwide from January 2011 through June 2011 for about $500. They were made in China. General Motors is recalling about 4,000 Buick LaCrosse vehicles from the 2012 model year. The company said the electronic stability control system may be incorrectly calibrated, which could cause it to malfunction. The system could activate falsely, resulting in sudden changes in handling and deceleration, which could cause loss of control. Dealers will reprogram the electronic brake control module at no charge. 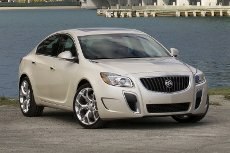 Owners may contact Buick at 1-866-608-8080 regarding Recall No. 11222. General Motors is recalling about 10,000 Chevrolet Impalas from the 2012 model year. The company said that power steering fluid could leak onto the catalytic converter, possibly causing an engine fire. Dealers will inspect the routing of the power steering hose and correct it if necessary. Owners may contact Chevrolet at 1-800-630-2438 about Recall No. 11224. Philips is recalling about 1.86 million EnergySaver a/k/a/Marathon or Marathon Classic Compact Fluorescent Dimmable Reflector lamps. The glue that attaches the glass outer envelope or globe to the body of the lamp can fail allowing the glass outer envelope to fall and strike persons and objects below, posing a laceration hazard to consumers. Philips has received 700 reports of lamps where the glue failed and the glass outer envelope fell, including two reports of minor injury and three reports of minor property damage. 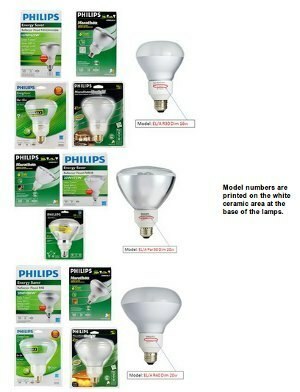 The bulbs were sold at grocery and home center stores nationwide, online retailers, and professional electrical distributors from March 2007 through July 2011, for between $11 and $24. They were made in Mexico and Poland. Consumers should immediately stop using the recalled lamps and contact Philips to receive instructions on how to receive a free replacement lamp. Model numbers are printed on the white ceramic area at the base of the lamps. For boxed products, the UPC number is on the bottom of the box. For products in blister cards, the UPC is at the top right corner of the back of the package. Date codes are located on the lamps themselves, either stamped into the metal gold base of the lamp or in the white ceramic area with other product information. 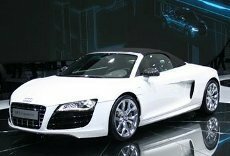 Audi is recalling about 920 R8 2011-2012 Spyders to fix a problem with the fuel supply line. The company said the supply line contact rub against the heat shield in the engine compartment, which could lead to a fire. Dealers will inspect the line and, if necessary, replace it free of charge. Owners may contact Audi at 1-800-822-2834 about Recall No. 20Q8/K1. Best Lighting Products is recalling about 450 LHQM LED Exit Signs with Emergency Lights. Authorized distributors sold the signs nationwide from January 2011 through May 2011 for $100 to $200. They were made in China. Honda is recalling nearly 2.5 million cars, small SUVs and minivans worldwide to fix a software glitch that could damage automatic transmissions. The recall includes 1.5 million vehicles in the United States, including the popular Accord sedan for the 2005 through 2010 model years. In the United States and Canada, the recall also includes the CR-V crossover for the model years 2007 to 2010 as well as the small SUV Element from 2005 to 2008. Honda said that without the updated software, the automatic transmission secondary shaft bearing in the affected vehicles can be damaged if the transmission is quickly shifted between each of the reverse, neutral and drive positions, as may be done in an attempt to dislodge a vehicle stuck in mud or snow. “If the bearing is damaged in this unusual scenario, it can cause the engine to stall or lead to difficulty engaging the parking gear. The update to the vehicle's automatic transmission control module software will ease the transition between gears to reduce the possibility of damage. No injuries or deaths have been reported related to this condition,” the company said. Honda said it will begin notifying customers of the affected vehicles on August 31. Dealers will make the upgrade free of charge and it is expected to take less than an hour. In addition to contacting customers by mail, after August 31, Honda owners will be able to determine if their vehicles require repair by going on-line to www.recalls.honda.com or by calling (800) 999-1009, and selecting option 4. Chrysler is recalling nearly 300,000 Chrysler and Dodge vans because of a possible problem with the airbags. Chrysler said the heating and air conditioning units can leak onto the airbag control, which could lead to unintended airbag deployment, possibly causing a crash. Dealers will replaced the affected module free of charge when the recall begins this month. Owners may contract Chrysler at 1-800-424-9153. Target is recalling about 200,000 step stools with storage bins. The wooden step stools can break apart or collapse under the weight of the user, posing a fall hazard. Target has received 26 reports of the stools breaking or collapsing. Fourteen incidents involved children, seven involved adults, and five incidents where the user’s age was unknown. Two adults fractured their wrists, and of those victims, one also fractured her hip and pelvis. Additionally, six children and one adult suffered scrapes and bruising. 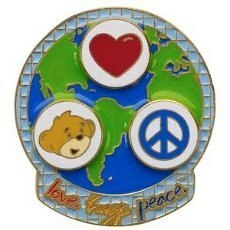 Build-A-Bear Workshop is recalling about 30,000 Love Huge Peace lapel pins. Surface paints on the lapel pin contain excessive levels of lead which is prohibited under federal law. The 1.5 inch lapel pin features graphics of a heart, bear head, and peace sign all positioned in front of a globe. The words “Love.Hugs.Peace.” appear at the bottom of the pin. The pins were sold by Build-A-Bear Workshop stores nationwide and online at www.buildabear.com from July 2009 through October 2010 for $3.50 in the US and $4 (CDN) in Canada. They were made in China. Consumers should stop using the lapel pins and return the lapel pin to any Build-A-Bear Workshop store to receive a $5 store coupon. If it is not possible to return the pin to a store, you can contact the company for alternate instructions on receiving a refund. 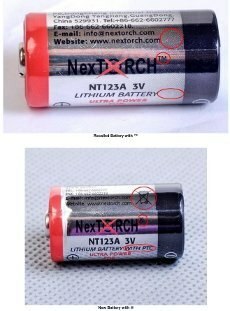 NexTorch is recalling about 16,000 NexTorch NT123A flashlight batteries. The batteries can overheat and rupture, posing a fire and burn hazard to consumers. There has been one report of NexTorch NT123A flashlight batteries rupturing and catching fire, causing burns to the consumer’s body, clothes and vehicle. The recalled product is a NexTorch NT123A flashlight battery, bearing the trademark ™ superscript, rather than registered trademark ® superscript. Its body is silver metallic-colored and has the NexTorch logo and the voltage (3 V) on it. The battery is often packaged with NexTorch flashlights. The batteries were sold by firearm dealers and law enforcement supply stores, and on the Web, including amazon.com and the firm’s website www.nextorch.com, from July 2007 to July 2011 for about $2 per battery. They were made in China. Consumers should immediately stop use of the battery and contact NexTorch for instructions on how to receive a free replacement. About 10,000 Pogoplug video file-sharing devices are being recalled by Cloud Engines Inc. The unit can overheat or catch fire, emitting excessive heat, sparks, smoke or flames. This recall involves the Pogoplug Video file sharing device. The device is a black desktop electronics box, measuring about 2.5 inches wide, 7 inches deep, and 5.5 inches high. It is used to stream and share videos, photos, and music and to provide remote access to files stored on drives attached to the device. The device has the word “Pogoplug” on the side. 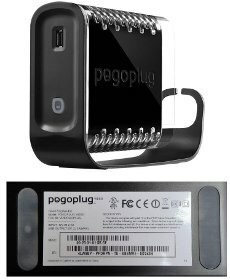 “Model: Pogoplug Video” is listed on a label on the bottom of the device. Adorama, B&H, Best Buy, Buy.com, J&R, Pogoplug.com, New Egg, and Sony Style sold the units from March 2011 through June 2011 for about $200. They were made in China. Battat is recalling more than 1 million toy keys with a remote control. The metal toy keys and the plastic key ring can break, posing a choking hazard. There have been 17 reports of keys breaking and 14 reports of key rings breaking. No injuries have been reported. This recall includes all B. FunKeys with factory code H58000-01 or H26300-01, and Parents Magazine Electronic Keys with factory code H26300-01. The factory code is located on the back of the remote. The remote of the B. Fun Keys is olive green or red and the top of the keys are multi-colored. The remote of the Parents Magazine Electronic Keys comes in different colors and the top of the keys is a solid color. Both remotes have sound buttons, and the metal keys hang from a plastic ring. The key rings were sold by retailers nationwide and online sellers from April 2010 to May 2011 for B. FunKeys, and from January 2006 to December 2009 for Parents Magazine keys for about $9. They were made in China. Consumers should immediately take the recalled toy keys away from children and contact Battat to receive a free mailer to return the item for replacement keys. Ford is recalling more than 1 million trucks because the straps that secure the fuel tanks may corrode, allowing the tanks to leak or separate from the truck body. The National Highway Traffic Safety Administration (NHTSA) announced the recall today on its Web site and said the defect has led to three fires and one injury. The recalls affect trucks licensed in 21 U.S. states, and the District of Columbia, where de-icing chemicals used on roads in cold weather may cause corrosion of the metal straps. The recall follows an investigation opened by the agency last year. The recall applies to vehicles sold or currently registered in these states: CONNECTICUT, DELAWARE, ILLINOIS, INDIANA, IOWA, KENTUCKY, MAINE, MARYLAND, MASSACHUSETTS, MICHIGAN, MINNESOTA, MISSOURI, NEW HAMPSHIRE, NEW JERSEY, NEW YORK, OHIO, PENNSYLVANIA, RHODE ISLAND, VERMONT, WEST VIRGINIA, WISCONSIN, AND THE DISTRICT OF COLUMBIA. Ford said the recall covers 1.1 million pickup trucks, including F-150s from model years 1997 to 2004; F-250s from model years 1997 to 1999; and Lincoln Blackwoods from model years 2002 to 2003. The company said it will notify owners of affected vehicles in mid-September and make repairs at no cost. Owners may contact Ford at 1-866-436-7332 about Recall No. 11S21.